Nothing motivates quite like good old-fashioned competition. Put your group or team to the ultimate test by participating in one of our customized adventure races. 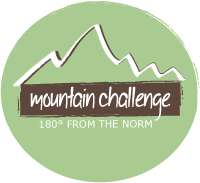 This high-stakes event combines Low Ropes Course events, Alpine Tower climbing, raw fitness exercises and other team-building activities with added pressure from rivalry and time constraints. That’s right—not only do we pit groups against themselves, but we also put them on the clock. We understand that performing at a high level takes meeting challenges in a challenging environment. Feel like your group wants to meet this challenge?